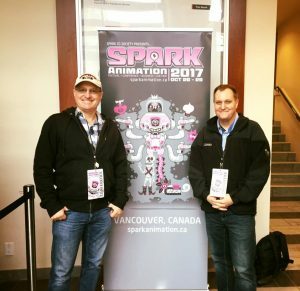 Kevin Hudson and Bradford Simonsen at Spark Animation in Vancouver. 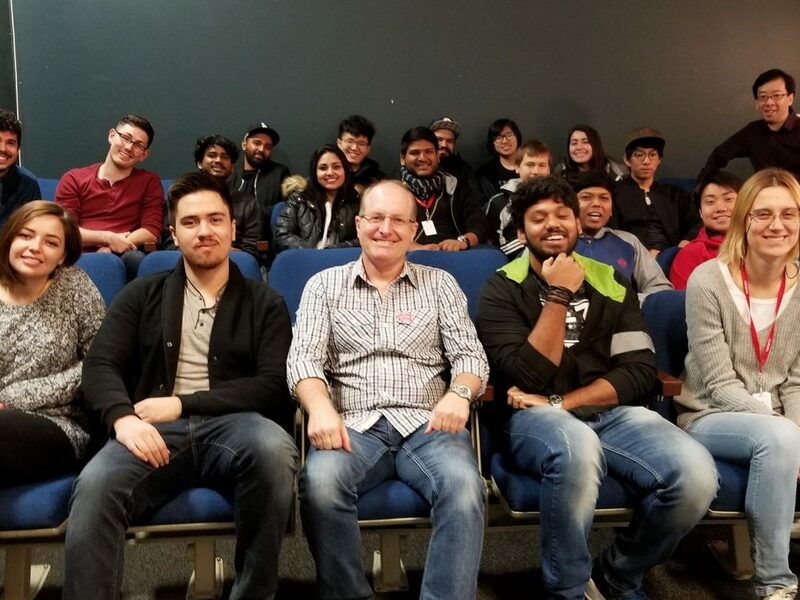 On Monday, October 30th, our students and faculty in animation, game art & visual effects were given a window into the real-world production of modern animated filmmaking. Weeds, the first animated short completed within the Filmmakers Co-op program at Walt Disney Animation Studios, screened at Vancouver’s Spark Animation Festival the day before. While they were still in town, its creators visited our campus to not only show us their film, but share with us a presentation on how it was made. Weeds was written & directed by Kevin Hudson and produced by Bradford Simonsen, both artists at Disney with credits on films such as Big Hero 6 and Zootopia, and experience at other studios’ films like The Polar Express and Harry Potter. Their production team for the short film consisted of 40 artists from 40 different countries, using softwares like Maya, Houdini, Hyperion and Nuke. 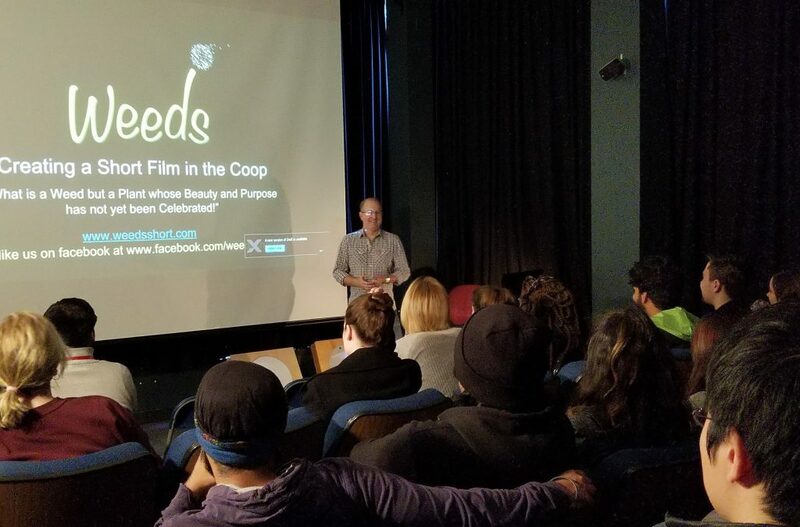 VanArts students in our lecture theater, with director/writer of ‘Weeds’ Kevin Hudson (seated center). 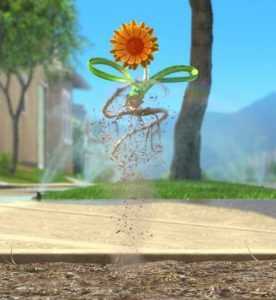 The 2 1/2-minute short film tells the story of a dandelion struggling to journey from dry, barren ground to greener, grassier land. After watching his neighbors (also weeds!) wilt and die, the dandelion faces a tough decision: act now, or suffer and die? The story means a lot to writer/director Kevin Hudson, who explains, “As an artist, I wanted desperately to say something about having empathy for people who, by no fault of their own, were stuck in bad situations. I hoped that if we, as artists, could make people feel empathy for something as little as a dandelion, then perhaps we could make them feel a little more compassion for their fellow human beings?” The film, currently touring the festival circuit, has attracted the attention of causes for refugees fleeing foreign countries, in hopes it will give them courage and inspiration. Many thanks to Kevin and Bradford for sharing your time and expertise with us, and to our Head of Game Art & VFX Wade Howie for coordinating this event!